Non-adherence to medications is a major determinant of poor outcome in bipolar disorder. Second-generation long-acting injectable (LAI) antipsychotics help ensure medication adherence which in turn can lead to more favourable outcomes. However, the role of these medications in bipolar disorder is not well established. We sought to review available evidence relating to the efficacy and safety of using second-generation LAI antipsychotics in bipolar disorder. PRISMA guidelines were followed to systematically review all clinical studies that reported on the efficacy and safety of second-generation LAI antipsychotics in patients with bipolar disorder. We searched Ovid Medline, PsycINFO, and Cochrane Central Register of Controlled Trials from inception to November 2018. Of 459 identified citations, 53 studies were fully evaluated and 37 met our inclusion criteria. Overall, second-generation LAI antipsychotics were found to be well tolerated and effective for treatment of manic symptoms and preventing mood recurrences in adults with bipolar disorder. However, we found disparity in the evidence available for individual agents. 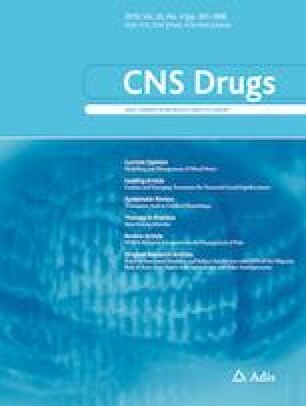 While several randomized controlled trials (RCTs) reported on the use of risperidone LAI in bipolar disorder, we found only one RCT on the use of aripiprazole LAI, and none for use of paliperidone palmitate or olanzapine pamoate (evidence for the former is limited to one observational study and one case series, and for the latter to a single case report). Studies in children and adolescents were restricted to case reports and small open-label studies. Second-generation LAI antipsychotics, particularly risperidone and aripiprazole LAI, may be a safe and effective alternative to oral medications in the management of bipolar disorder. No funding sources were used to prepare this review. Kamyar Keramatian and Trisha Chakrabarty state no conflicts of interest. Lakshmi Yatham has received research grants from or has been on speaker⁄advisory boards for Allergan, AstraZeneca, Alkermes, BristolMyers Squibb, Canadian Institutes of Health Research, Canadian Network for Mood and Anxiety Treatments, Dainippon Sumitomo Inc, Eli Lilly & Co., Forrest, GlaxoSmithKline, Janssen, Lundbeck, Michael Smith Foundation for Health Research, Novartis, Otsuka, Pfizer, Ranbaxy, Servier, Sanofi, Sunovion, the Stanley Foundation, Teva, and Valeant Pharmaceuticals.